When you hear the word “improv”, you immediately get the image of Drew Carey in your head. Why? Because for most people, the only way into the world of improvisation is through the classic tv show Who’s Line is it Anyway? But As the Boat Approaches is not that. 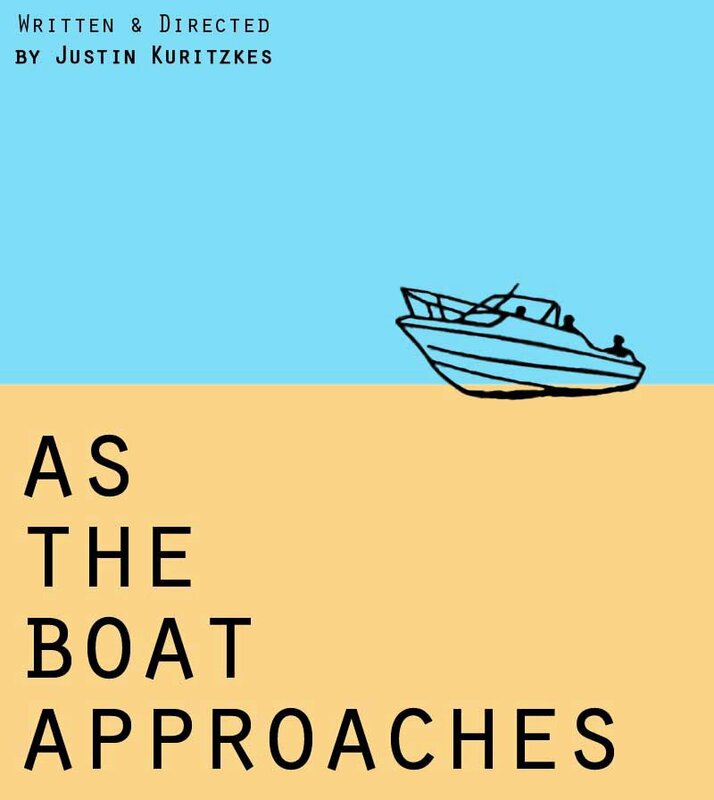 As the Boat Approaches takes the classic ideals of long-form improv and tells the tale of two newfound buddies who are suddenly stranded on an island. With no set, no costumes, and no props, you are forced to use your imagination, which tends to be scary in theater. And I greatly appreciated the fact that I got to use my imagination, which seems to have disappeared once I started studying theater. The piece traveled from place and time, allowing our two actors, Jonathan Gordon and Justin O’Neill, to create various characters and various sounds, including the classic fart. Gordon and O’Neill played off each other brilliantly. They were like Ben Stiller and Owen Wilson of improv. The perfect duo who let one another take moments in the spot light. Gordon and O’Neill were in their prime when the scenes called for comedy. The more dramatic moments seemed to drag a tad to long, though this may be due to my preconceived notion that improv should always be funny. Gordon and O’Neill’s humor way outshined the maudlin, though the final moments of the play were beautifully sentimental. Live comedy can be tough, and O’Neill occasionally broke character if Gordon said something funny. But as an avid Saturday Night Live fanatic, watch at old episodes when Jimmy Fallon breaks character. It’s some of the funniest moments of comedy in the history of the show (ie the Will Ferrell/Christopher Walken “More Cowbell” or the Janet Jackson and Co. “Cork Soaking” skits). So I forgive you and thank you. 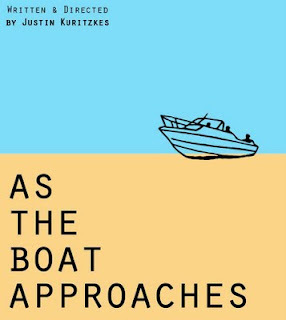 Justin Kuritzkes, who serves as the dual writer/director, does a fine job steering his actors. One of the interesting aspects of As the Boat Approaches, was the lighting. As the piece headed toward the end, the lights dimmed, almost as a warning to wrap up. Though it was a bit distracting for me, it served perfectly for the end of the play. I am very intrigued to see Jonathan Gordon and Justin O’Neill do more improv together. They have the perfect onstage bromance. If you’re looking for a good laugh, check these two out.